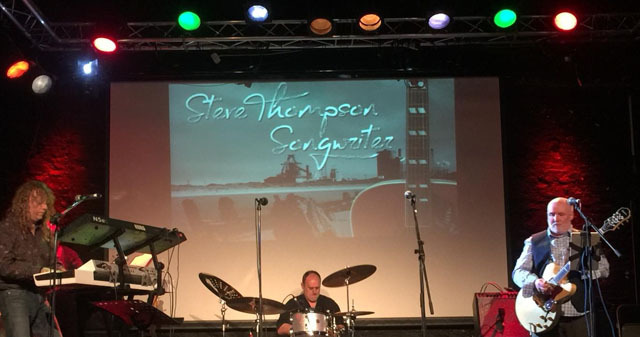 Share the post "Gig review: STEVE THOMPSON – The Georgian Theatre, Stockton, 25 March 2018"
Inspired by the passing of two close friends and wonderfully talented musicians, Tyneside-born songwriter Steve Thompson reflects and celebrates a career that truly illustrates the ups and downs that have been the songwriters lot to him. Only three shows old, but his first with a fantastic band that includes sometime Prefab Sprout drummer Steve Dolder and former Back Street Crawler and Charlie vocalist Terry ‘Sless’ Slesser. The afternoon crowd at the Georgian Theatre in Stockton were treated to songs all written by Steve across the 40 -odd years since his time as bassist with the band Bullfrog (their Cube label single was produced by Budgie/Priest/Sabbath ‘s Rodger Bain), whilst holding down a job at Consett steelworks and a period, where he would also frequently bump into fellow local road warriors, Beckett – whose Roger Chapman produced debut album is much sought-after and whose line-up featured a certain Terry Wilson-Slesser. Tastefully augmented by back projections of archive performances, Steve’s rock n roll tales of work with his Producers such as Gus Dudgeon (Elton John, Chris Rea, XTC), Peter Collins (Gary Moore, Rush, Bon Jovi ), Peter Waterman (Yes, that Pete Waterman) and Christopher Neil (Mike & The Mechanics, Marillion, Gerry Rafferty), seamlessly married with some stunning performances of his hit songs by this new line-up. No slouch on guitar himself as his opening ‘Red Dust’ instrumental taken from his musical ‘Steel Town’ clearly demonstrated, the various vocal combinations featuring either Sless or the intriguing ‘new discovery’ of Jen Normandale threw us some real highlights; Jen’s superlative rendition of just one of Steve’s hits for Elkie Brooks, ‘The Last Teardrop’; Sless’ own choice of Steve’s Italian Eurovision entry (I kid you not) as well as his take on the multi-layered, dark, prog-like , ‘Last Days’ from another, more recent Steve/Tom Kelly musical, ‘Jobling’ - the story of the last man gibbetted in the North. A nice early set touch was Sless’ performance of Bullfrog’s B- side, ‘In The City’. 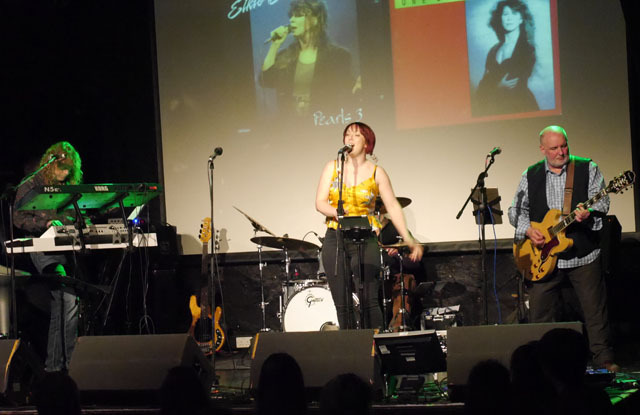 The afternoon’s talented support, Elizabeth Liddle, re-joined the entire band for the full version of Steve’s Top 20 hit, ‘Hurry Home’ by Wavelength – rejected by Sheena Easton (whoops!) – and only reinforced the bands’ talent for sympathetic, yet regularly powerful renditions of other ST songs across the set. These included ‘Love Takes Prisoners’ , the Sless-featured ‘Looking For Love In A Stranger (originally recorded by Chris Farlowe) , ‘I Don’t Want To Be The One’ (recorded by The Searchers), and set closer ‘Sometimes You Wonder’. Power chord hits, hooky choruses in every one. Laugh out-loud recollections of recording bands such as NEAT label stalwarts, Venom, Raven (Steve produced their ‘Rock Til You Drop’ album and features on the DVD) and also Tygers of Pan Tang, who had a hit with his song ‘Paris By Air’ – spikily performed by Jen in this show – the route to ‘songwriter’ it seems was neither planned, nor has it been without its ‘incidents’. ‘Please Don’t Sympathise’ – ‘that’ Celine song, also recorded by Sheena Easton (produced by Chris Neil) is the benchmark of this band and show. With a cracking band (with Dave Chapman on keys, John Dawson on bass), who share a marvellous bonhomie, this show is a must for anyone with the slightest interest in music. It’s entertaining, informative and it ‘works’. 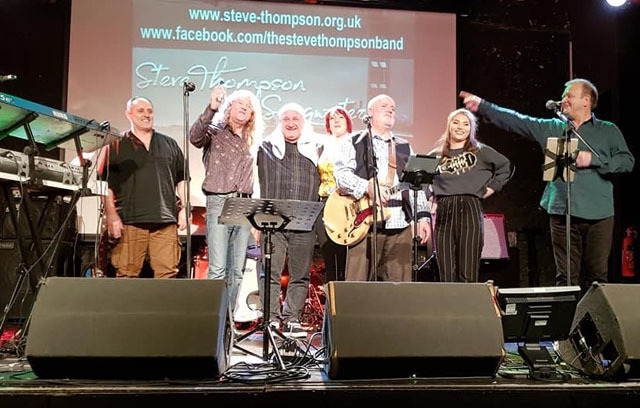 The Steve Thompson Band will be recording and also will be out on tour. Look out for this show. You will not regret it. Welcome to Get Ready to ROCK!